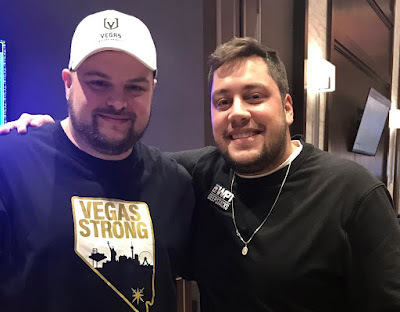 Celebrity Bounty @RexClinkscales moves all in preflop on the first hand during bubble play and is called by @DrewAmato to put the bounty at risk and the potential to move all players in to the money. Rex shows King_Nine and is up against the Ace_Eight of Drew. Rex outflops Drew on the K-5-5 board, Drew gets some help with the 8 on the turn. Drew receives $300, a one-night stay at Thunder Valley and $200 to High Steaks Steakhouse as his bounty prize. The other 17 players receive a bounty prize of Drew putting everyone in the money.